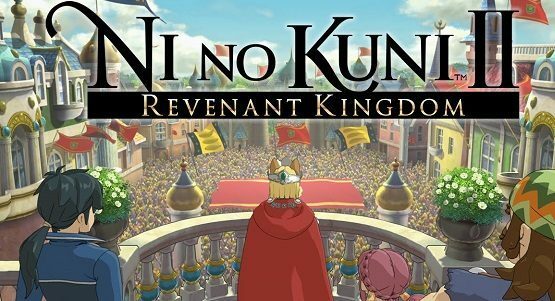 In 2011, developer Level- 5 along with Studio Ghibli created something beautiful and unique; it was the game Ni No Kuni. With all the charm of a Studio Ghibli film and a unique gameplay, it was no wonder why a sequel would happen. This time around, Level-5 is on its own without the help of Ghibli. This could have either meant a recipe for disaster or a way for Level-5 to prove itself a champion among RPG developers. 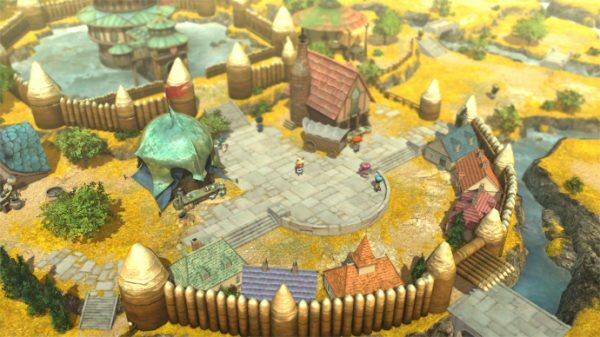 Could Level-5 continue the charm of the first Ni No Kuni? 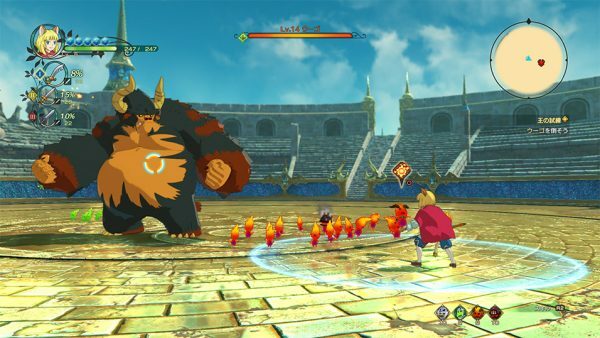 Let’s take a closer look at Ni No Kuni II: Revenant Kingdom. This time around, we connect our world and the “other world” via main character from (presumably) our world. The character this time around is name Roland. He is the president of some unnamed country and due to a bomb going off, he is transported to the other world of Ding Dong Dell. Roland is then thrown into the position of assisting a young and enthusiastic king, Evan, to save his life and kingdom from a usurper and even starting a new kingdom to promote the uniting of all kingdoms and end all war instead of seeking revenge on the usurper who threatened Evan and more. That is the basic bare bones of the story, but of course there is much more story to discover in this story and many more characters to meet. Overall, this story is not some dark and gritty tale but one that promotes more optimism and child like wonder. Some might be turned off and call the story saccharine and too sweet, but I for one enjoy a happy story once in a while. Some might also be turned off the personalities of the main characters. Roland isn’t a terrible character, but can be bland and Evan might be seen as annoying and insufferable. While Evan was not as appealing to me as Oliver from the first game, I didn’t find him to be a deal breaker for the game for me. The gameplay is significantly improved, in my opinion from the first game. 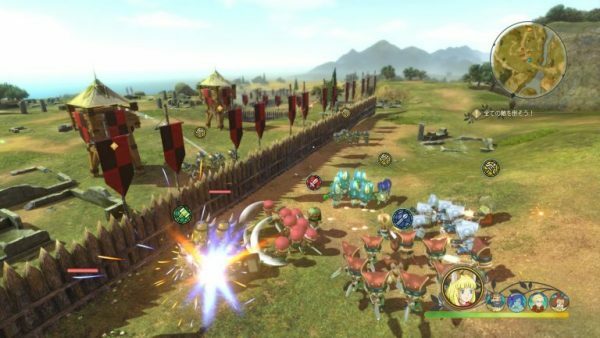 Revenant Kingdom has done away with the familiar system and the combination of real time and turn based combat. This time the gameplay is all real time and you don’t have familiars, but creatures called Higgledys that assist you. You can command them to perform tasks or you can let them do their own attacks and movements. This is a much more simple, but effective gameplay system that definitely makes the game flow better and fluidly. It feels less cumbersome and leaves room for another fun game mechanic. The second change to Revenant Kingdom is the addition of the kingdom building system. Part way through the game, you will be introduced to a kingdom building system in which you will employ people to run various shops or services and recruit others to become one of your citizens. While this is almost optional, I quickly became very enamored with improving and building up my little kingdom to give me very helpful tools and bonuses. Of course, you must also have defense for your kingdom. Ni No Kuni II also introduces an army mechanic of sorts. There are times you will need to fight off hordes of enemies, for example, bandits. You will control your forces and lead them by commanding them, to take on your enemies. There are special attacks and special units to employ. You will have to keep track of your military might and budget your special attacks. Hopefully, they are strong enough and plentiful enough to fend them off and defend or claim your territory. Overall, Ni No Kuni II is a sweet game with addicting gameplay. You can easily invest 40+ hours into the game and not feel like you are just padding time. The story may be too sweet and simplistic for some, but if you have a love for child like wonder and adventure, solid gameplay and JRPGs, this game is not to be missed. I haven’t found myself in love with a new JRPG like this for some time and didn’t think I would love it almost as much as the original. To me, it was worth the full price to play, but maybe wait for a sale if the story concept or characters don’t seem to appeal to you.